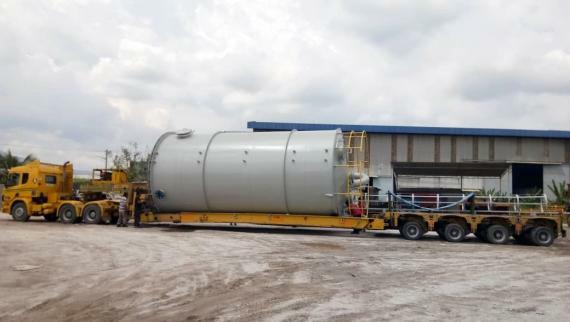 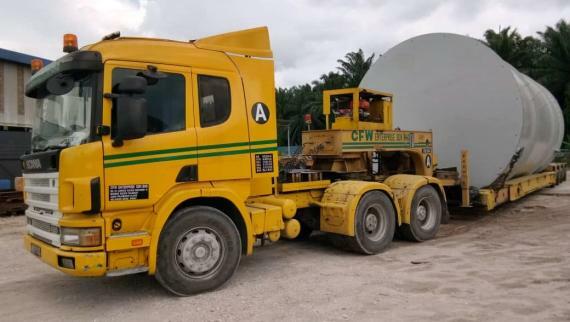 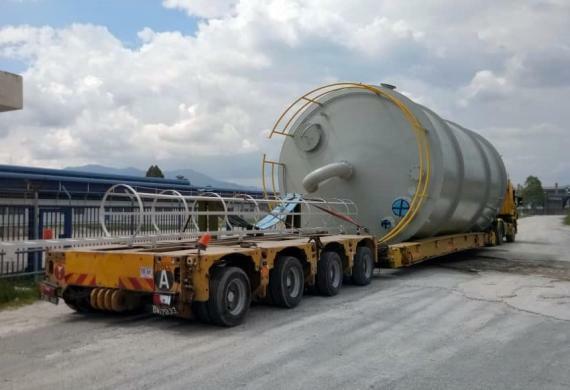 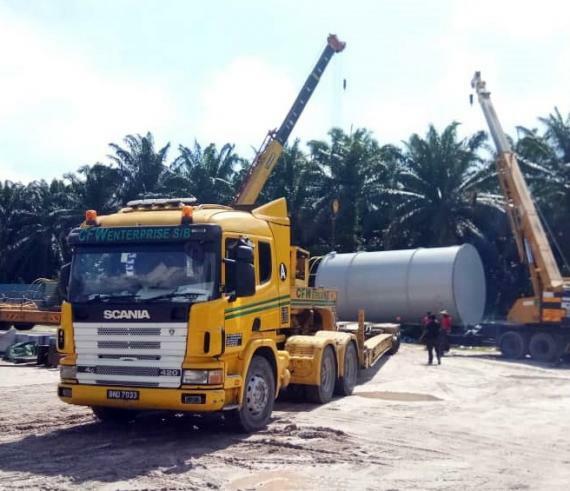 Tera Projects were assigned to a transportation job which involved the collection of a tank & its connecting parts from a client's workshop in Ipoh, Perak, before delivering to Johor Bahru. 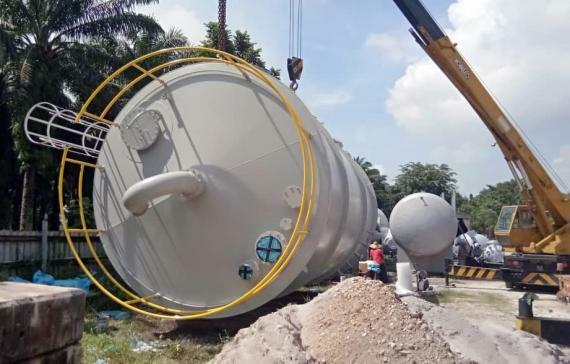 The dimensions of the tank measured to 9.77 x 4.73 x 4.8 m and it weighed a total of 86 T.
"We faced some challenges during entering and exiting our client’s workshop as the road and the gate was too small and narrow, but we overcame this without losing time or damaging our client’s belongings with the experience and skill of our project management team. 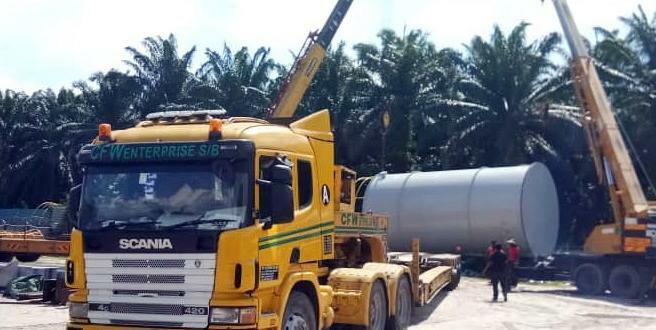 We managed to deliver within time by utilizing the shortest local roadways to reach our destination."